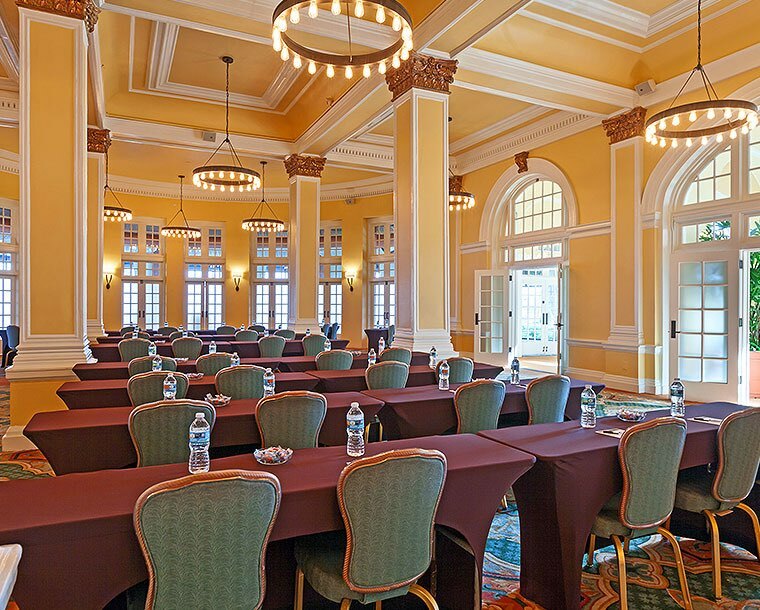 Balancing rich history with luxurious modern amenities, Hotel Galvez & Spa welcomes groups of up to 500 guests to our flexible indoor and outdoor event venues. 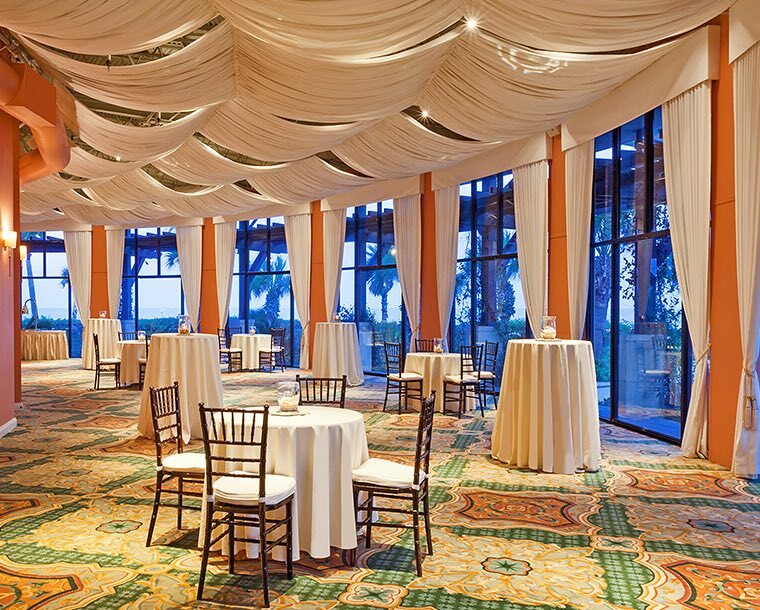 Choose from a variety of elegantly decorated spaces with old world accents, magnificent views of the Gulf, and the latest in audiovisual technology. Delicious, onsite catering is available for every occasion, from breakout sessions to lavish receptions—and everything else in between. 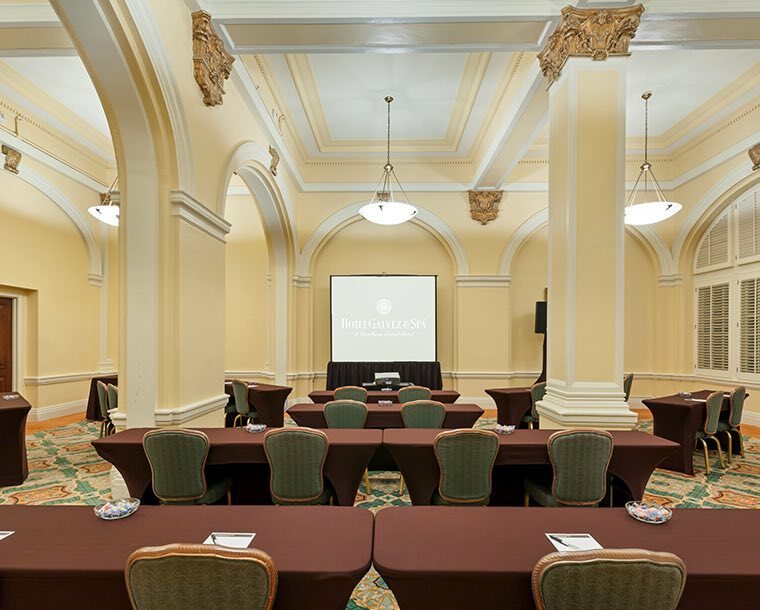 Our largest indoor meeting space, the Music Hall can be configured to accommodate classroom, theater, conference, and banquet settings. Floor-to-ceiling windows let in maximum natural light. 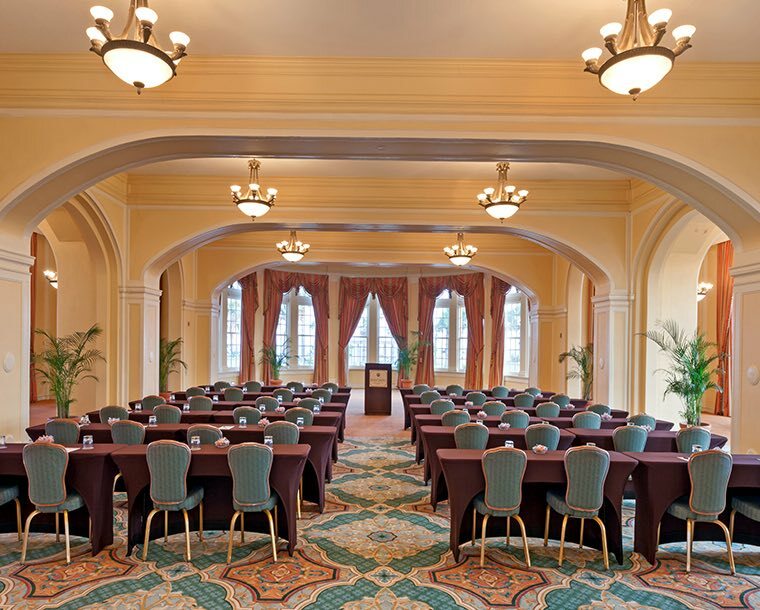 The Terrace Ballroom is often used for indoor convention and larger receptions. The hotel’s historic architecture is ideal backdrop for any style of decor. Our East and West Parlors accommodate smaller gatherings. Featuring high ceilings and architectural details, these flexible spaces work well as classrooms and luncheon venues. 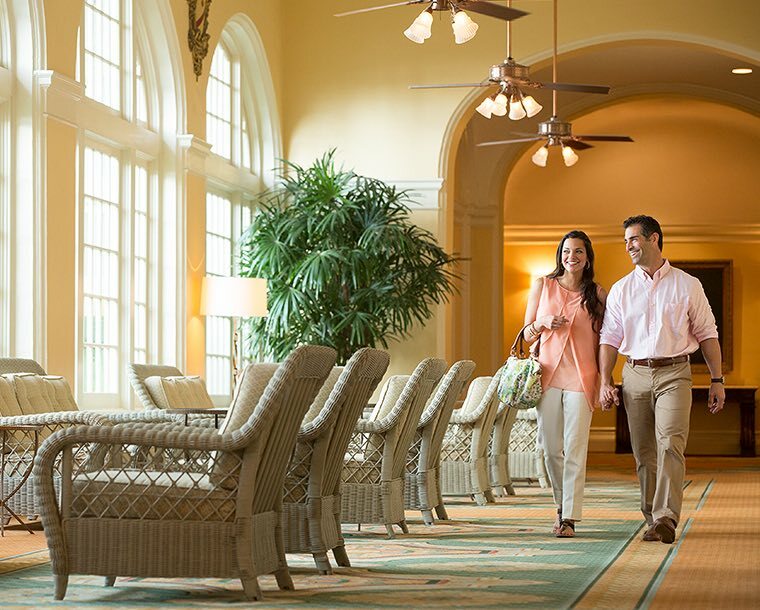 With its unobstructed view of the Gulf of Mexico, the Veranda inspires endless possibilities. 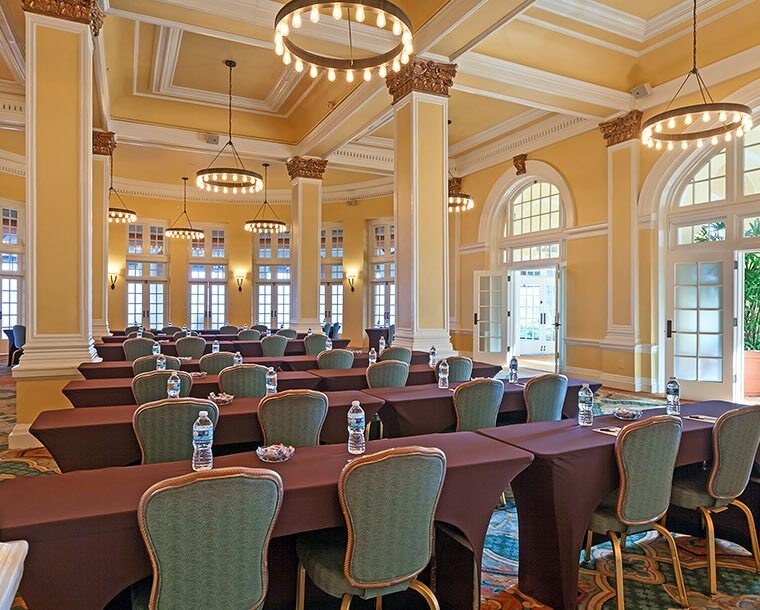 Hotel Galvez & Spa also features nine additional meeting rooms. 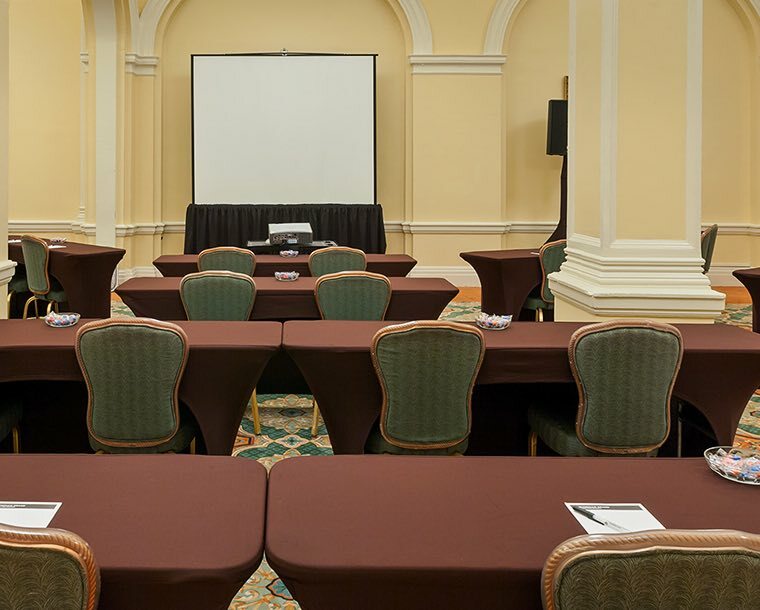 These flexible, more intimate spaces can be configured to accommodate breakout sessions, small luncheons, board meetings and more. 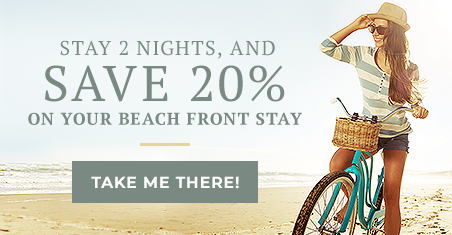 As always with Wyndham, receive one point per dollar spent with our Go Meet program, the world's most generous rewards program for meeting planners.